Zingy Orange Ginger Carrot Cake with White Chocolate Icing 3, a photo by Sweetapolita on Flickr. Today is a very special day. Today is my little blog's birthday. Yes, that's right this blog is four years old today. I can hardly believe it. I thought I would have been bored of blogging by now but nope, I am still here. Still loving brilliant photography and still waffling on about me - and my family - as well. I thought I would celebrate with a really lovely cake photograph as you've got to have a cake on your birthday. 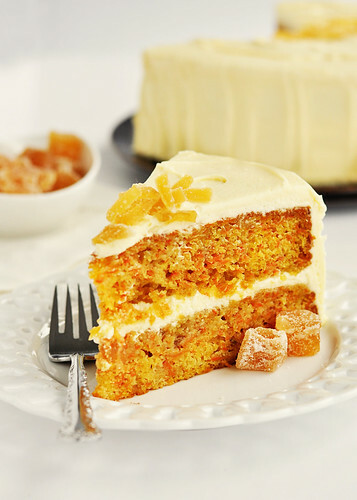 The trouble is this carrot cake looks so delicious I really want one for real now. Good job it's made with carrots because that counts as one of your five-a-day right?